Inspired by Nature in whites and Creams. Elegance and style come to mind when using the combination of lilies, roses and foliage to create this hand tied bouquet. 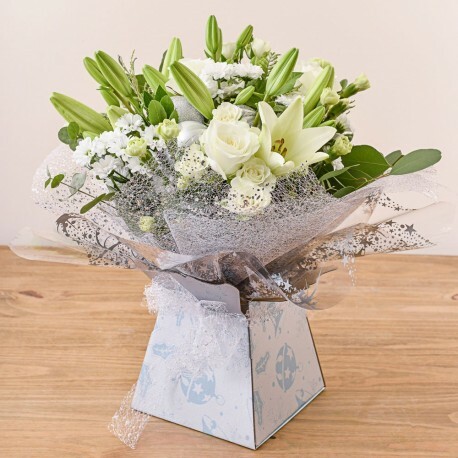 Flowerscene are delighted to present this elegant hand tied bouquet water packed for flower delivery in Aberdeen and surrounding areas.